A special feature of the walk around Lotus Lake is the exclusive Golden Lotus exhibit. 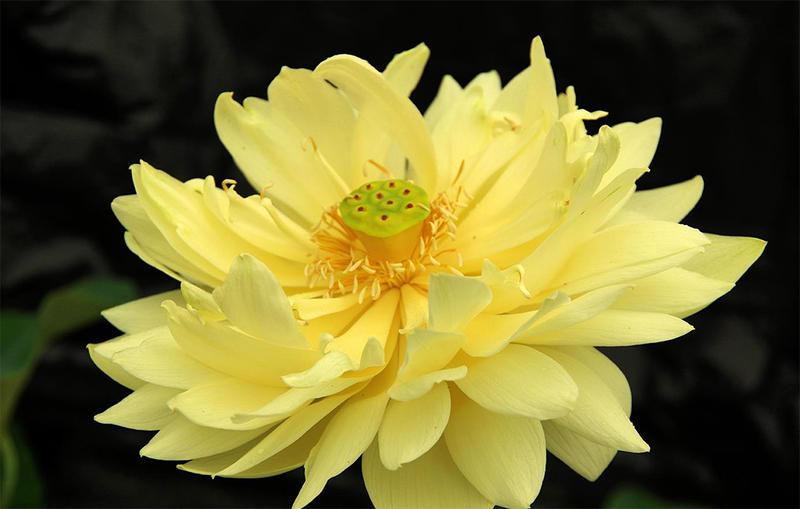 This spectacular double yellow flower has more petals than any other lotus in the garden. It was discovered by founder Geoff Cochrane after sourcing ancient Chinese seed from China. The flower itself is significant to Chinese people because of its colour and the fact it has 88 petals. In Chinese culture, the number 88 is considered to produce good fortune. That’s why we often refer to the lotus as the “lucky lotus”. 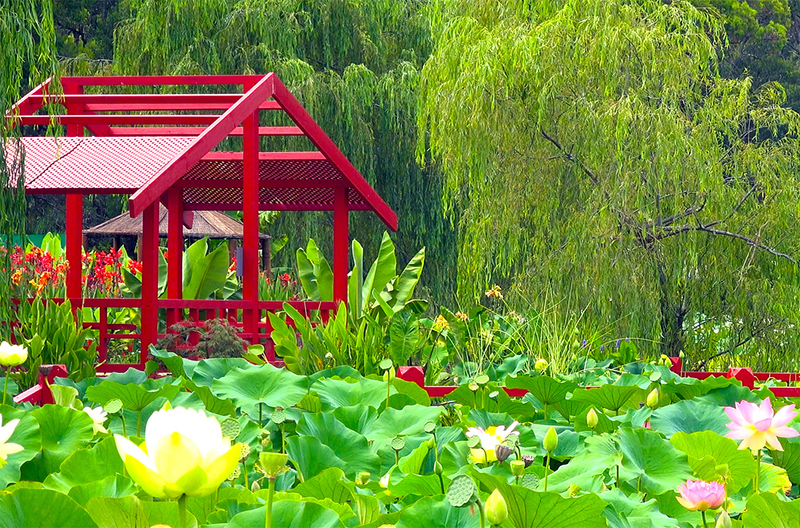 The Golden Lotus grows in its own pond on the eastern side of Lotus Lake signified by a Chinese inspired red pergola. The best time to see the Golden Lotus in full bloom is February – March.